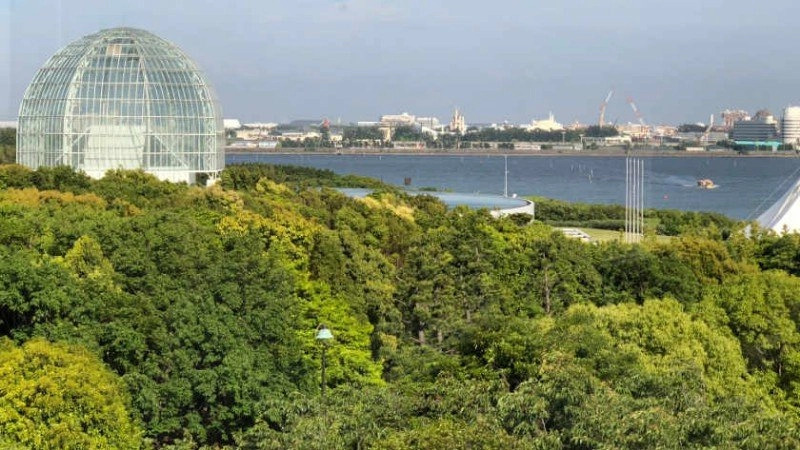 Kasai Rinkai Park is the second largest park in Tokyo and will be one of the venues for the Tokyo 2020 Olympics and Paralympics. 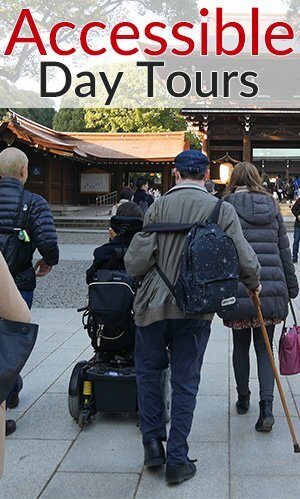 It is a great, accessible option for enjoying nature within Tokyo. 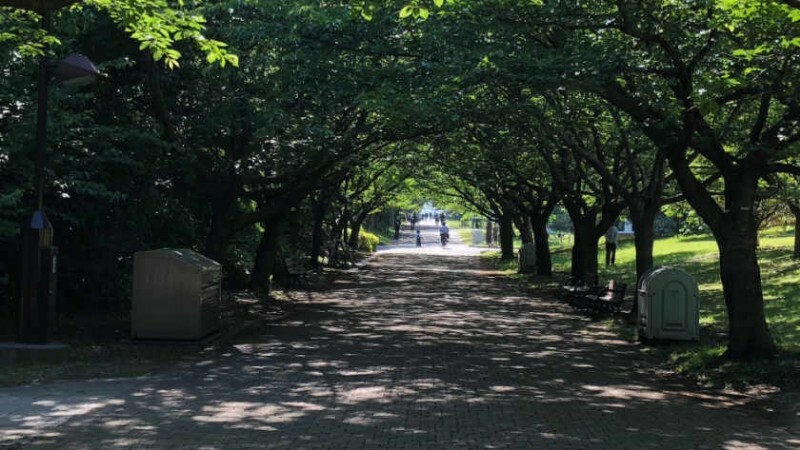 Located in the Edogawa Ward of Tokyo, Kasai Rinkai Park is the second-largest park in the 23 wards of Tokyo (after Mizumoto Park). 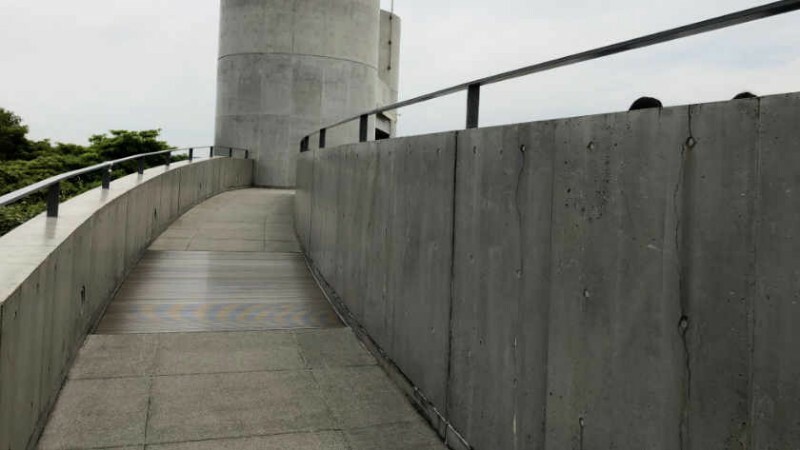 It was built on reclaimed land and developed in an effort to restore and preserve the natural Tokyo Bay habitat and officially opened on June 1, 1989. In addition many trails, the park features an aquarium, a ferris wheel, a seabird sanctuary and an observation building. The park is free to enter and will be the venue for the Canoe/Kayak (slalom) events at the Tokyo 2020 Olympics/Paralympics. The 117-meter tall Diamond and Flower Ferris Wheel opened at the park in 2001. It is the second tallest ferris wheel in Japan and offers views of Tokyo Bay, Tokyo Disney Resorts and as far away as Mt. Fuji on a clear day. It operates from 10:00 to 20:00 (until 21:00 on weekends and holidays) but is closed The 4th and 5th Wednesdays in January and all Wednesdays in February (following day if Wednesday is a national holiday). Admission is 700 yen and ends 20 minutes before closing. At the center of the park is the Tokyo Sealife Aquarium which has a variety of species of fish and good penguin and seabird exhibits. 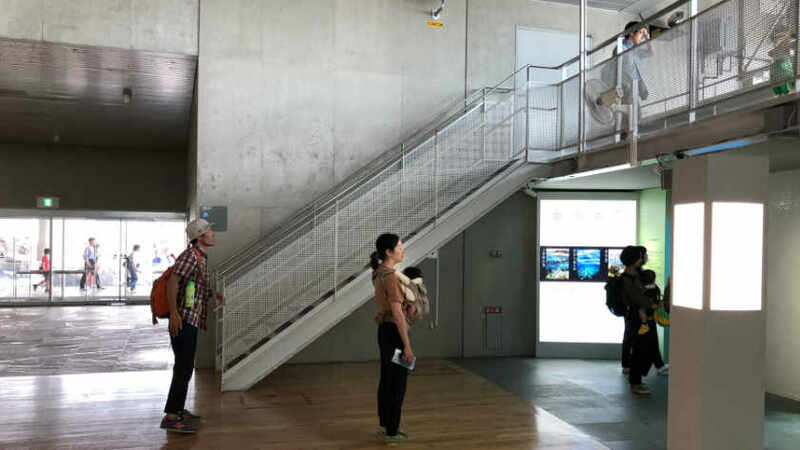 The aquarium is open daily 9:30 to 17:00 (entry until 16:00) except Wednesdays (or the following day if Wednesday is a national holiday) and for the new years holidays (Dec 29 – Jan 1). 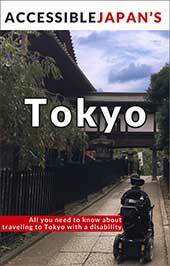 Admission is 700 yen. Roughly one third of Kasai Rinkai Park is designated a sea bird sanctuary. The park also has two artificial beach islands. The west island is connected to land by the Kasai Nagisa bridge. The east beach is a bird habitat and is inaccessible to the public. 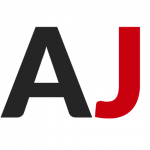 The park is adjacent to Kasai Rinkai Koen Station on the JR Keiyo and JR Musashino lines. The station is wheelchair accessible. 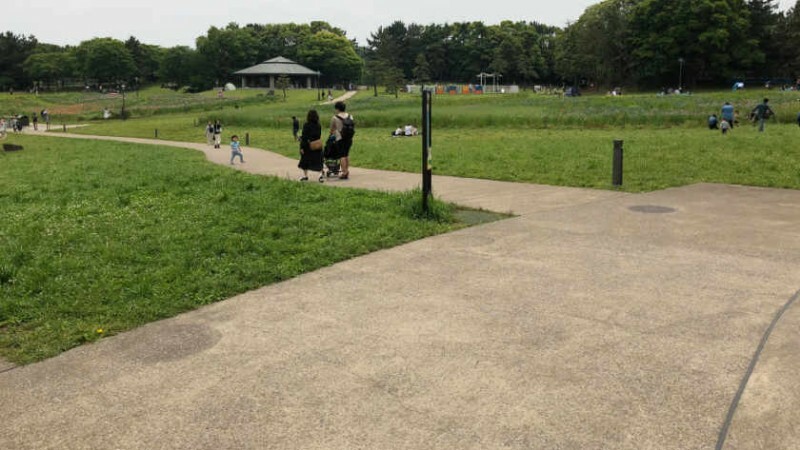 Kasai Rinkai Park is quite accessible. The paths are made of flagstone and can be a bit bumpy, but there is also a wheelchair path made of smoother paving available in many areas. Unfortunately, there are no tactile blocks for those with visual impairments. The park is very large, but there are many benches and places to sit for those who tire easily. A trolly makes its way around the perimiter of the park to make getting around easier. 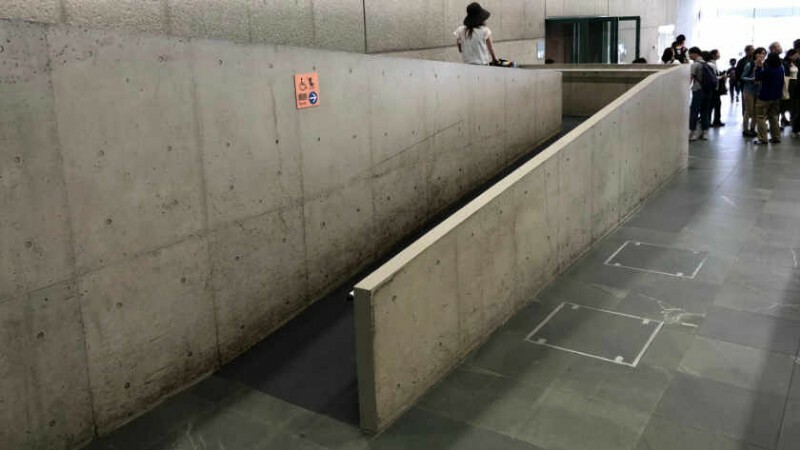 There is a ramp and area for wheelchair users at the back. 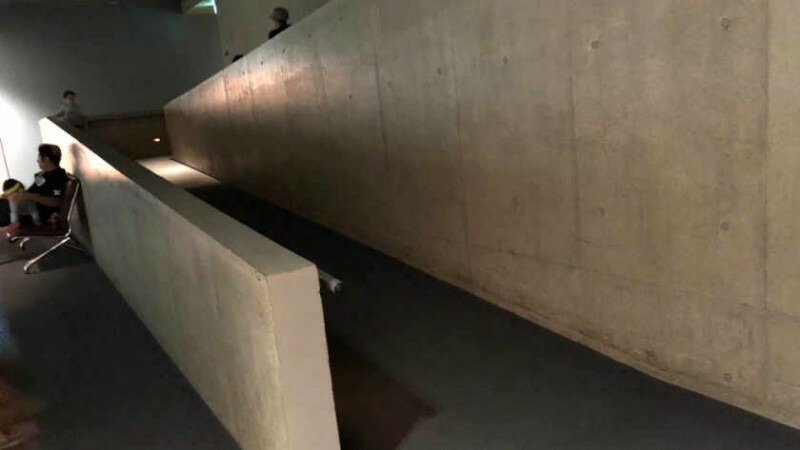 The aquarium is over 30 years old and while adaptations have been made, there are a few areas where the wheelchair friendly path skips some parts of the displays, but 80-90% is viewable. The main entrace uses an escalator, so staff will take you to an elevator and then through part of the staff area. The staff are friendly, but there may be a few times where it is difficult to know where to go. The ferris wheel has two wheelchair accessible carriages. 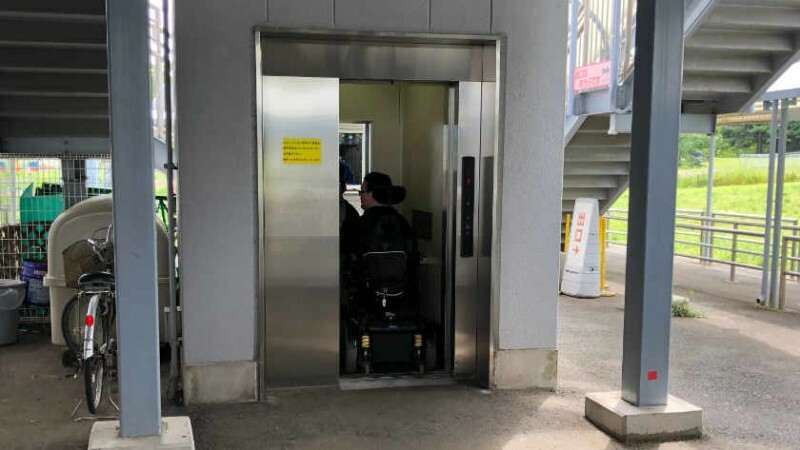 The elevator going to the boarding deck is a rather small, but a power wheelchair can ride it if it is shorter than 110cm. 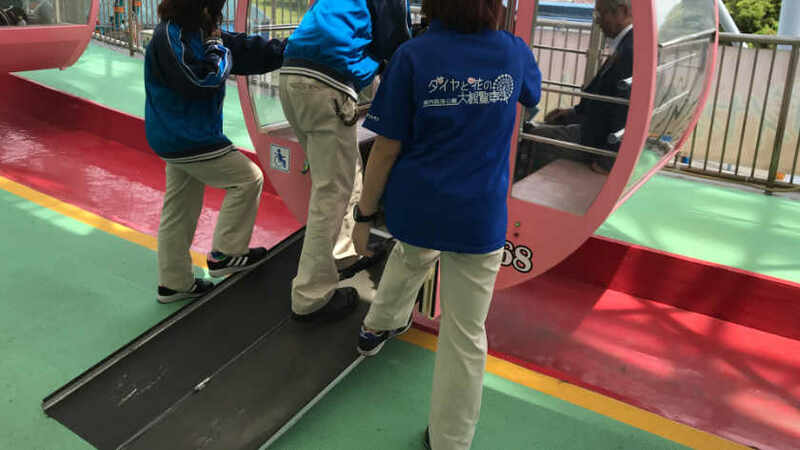 When the accessible carriage arrives, the staff stop the ferris wheel and set up a portable ramp. 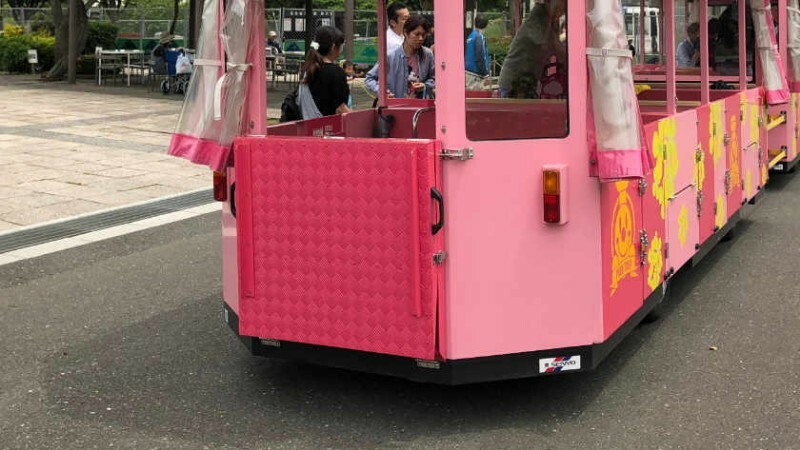 The carriage is narrow and does not have folding seats, so it is not possible to turn around inside. Going in forward allows riders to see Tokyo Disney, entering backward may provide views of Mount Fuji on clear days. 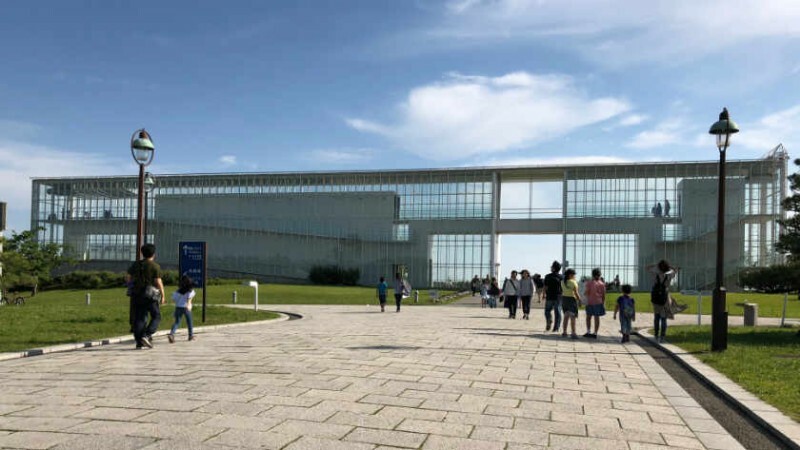 Crystal View is an observation building that is made of glass and overlooks Tokyo Bay. There is both an elevator and a ramp available. 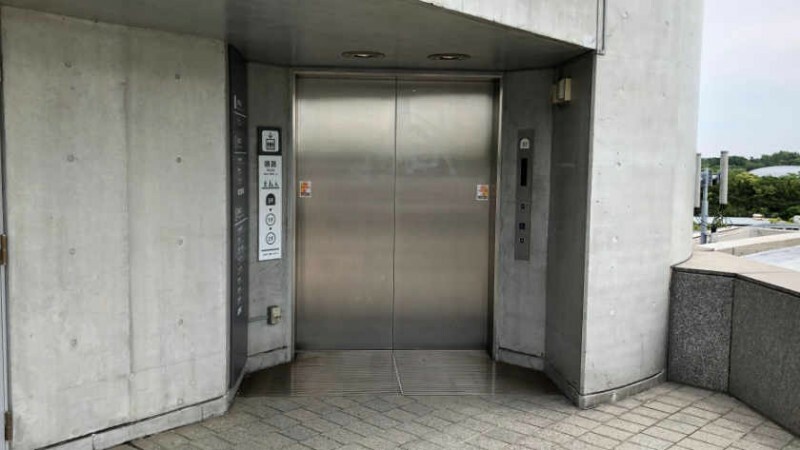 Taking the elevator to B1 allows easy access to the waterfront. 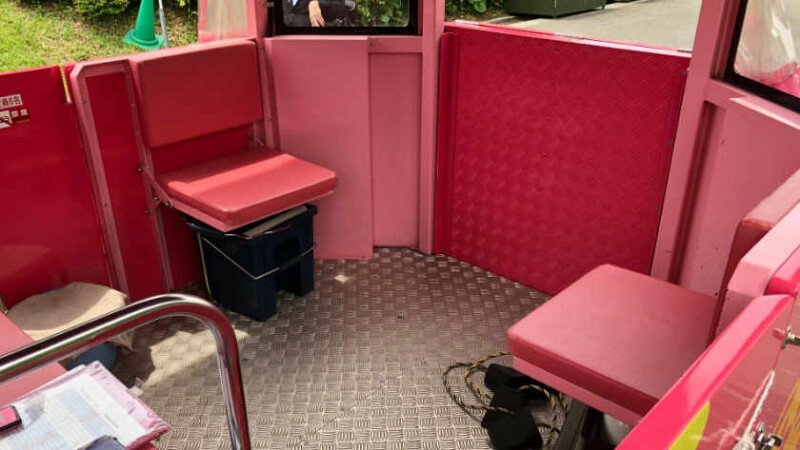 There are wheelchair accessible toilets throughout the park and in most of the buildings. 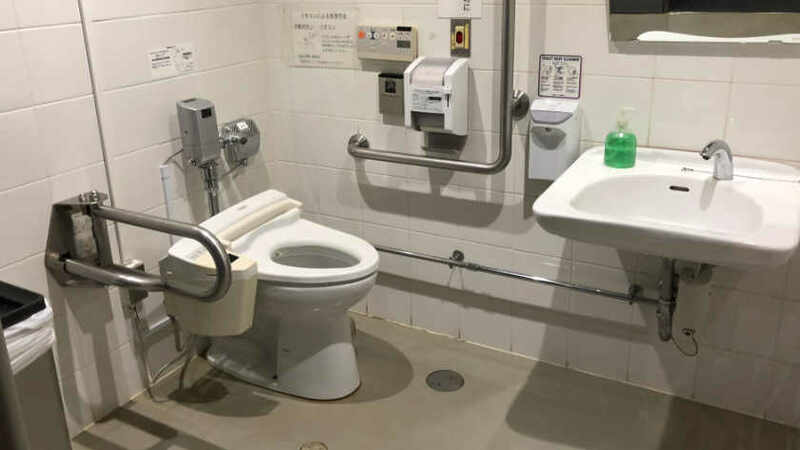 Not every toilet has an accessible option, but the accessible toilets are shown on maps. 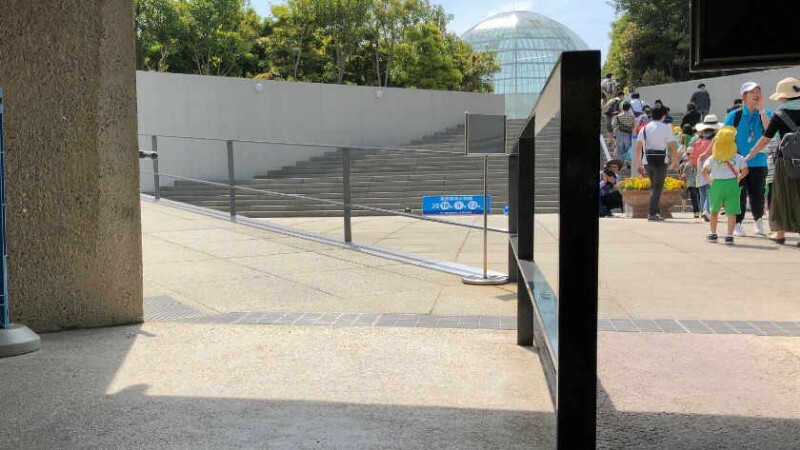 In preparation for the Tokyo 2020 Olympics/Paralympics, the city is renovating a lot of areas to make the park accessible so the accessibility should continue to improve. 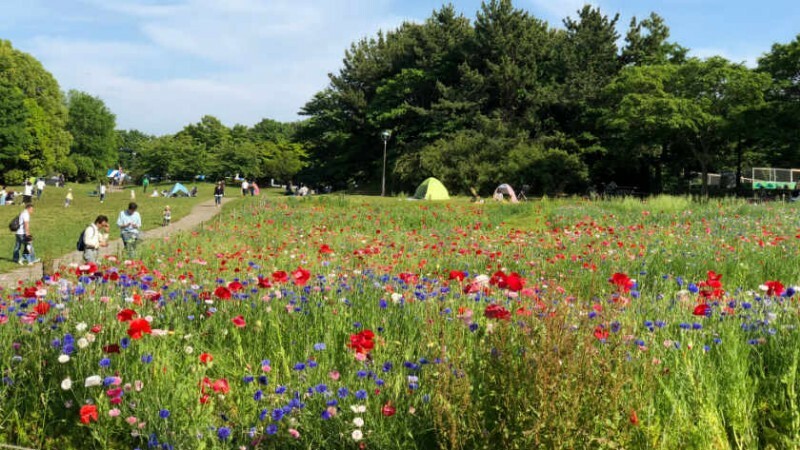 Despite a few problems, Kasai Rinkai Park offers a great place to get away from the hustle and bustle of Tokyo and enjoy nature. This topic contains 0 replies, has 1 voice, and was last updated by Accessible Japan 1 week, 5 days ago. 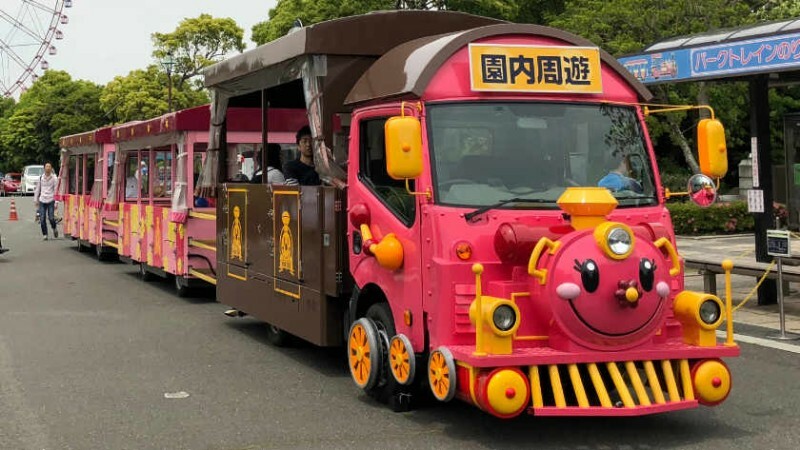 Leave your questions or comments about Kasai Rinkai Park here!